I’ve never been much of a fan of single coil RDAs as I prefer something which can give a decent amount of power when hitting that fire bar. 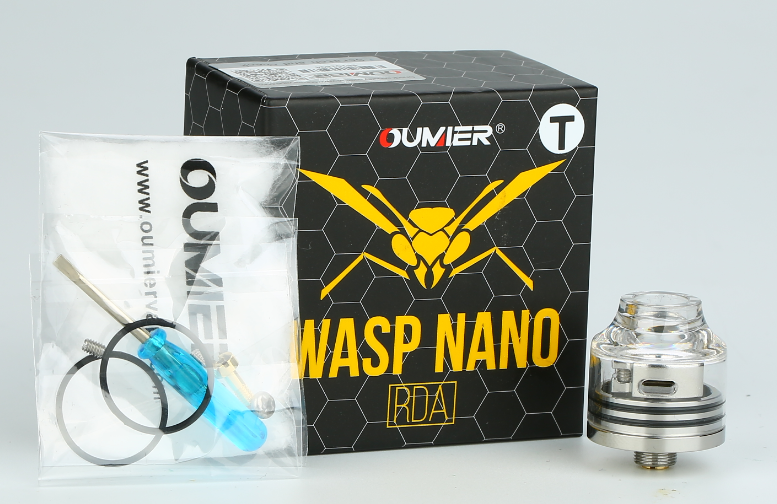 After testing out this OUMIER WASP NANO RDA, I have mixed thoughts surrounding this. Am I converted to being a fan of single coil builds or do I still prefer the dual builds? I received this package, opened the very very small box and was shocked. They describe this as being ‘Nano’. They weren’t joking for this little beauty is really tiny!! OK so first lets take a look at the contents of the box. Using this Wasp Nano for approx 2 weeks and I am impressed. 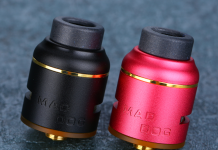 Its flavor has been really good, and for a single coil RDA the cloud production was incredible with the adjustable airflow making this easier to control and also giving you the air intake options. 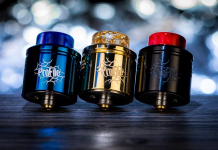 The build quality is finished to perfection with the strong stainless steel base and the resin top cap to finish, better still. I had the crystal clear resin top cap which I personally prefer as you can see through to view the coils and see how saturated the wicks are. 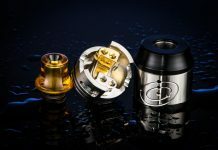 For me personally I would make the top cap a little bigger as being quite close to the coils can make your lips warm whilst vaping. 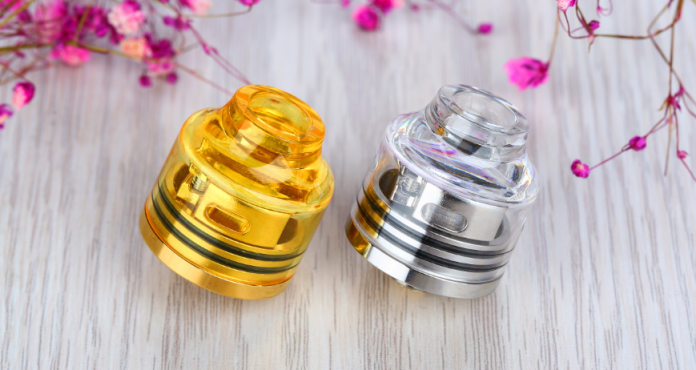 Now I know some people do prefer a warm vape but this is different in regards to you are closer to the coil than most other RDAs on the market today. The deck is small and the top cap is tiny. The coils are installed and sit just below the drip tip style opening of the top cap. 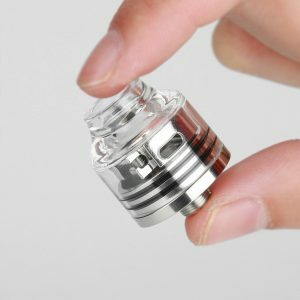 No removable drip tip as the top cap forms a mouth piece all in one. Am I converted from dual coils to being a single coil fan as I said before? I would’t say I am now a fan of single coil builds but the Wasp Nano RDA did impress me with its performance and flavor. I am old school and do prefer the heavy hitting dual coil builds. With this little beauty you need to take your time and take care with it. There is space on the deck to fit a decent size coil in their, baring in mind the bigger the coil the less space you leave for wicking. Now wicking with this was so easy. You could do it with your eyes shut. Nice and simple and ample space for good amount of wick. Build quality is really good. This is constructed well with stainless steel and I really do like the resin top cap finish. I have seen a variety of different colors with something to suit everyone. Single coil install is easy to do. No messing around with a simple deck. Wicking was a breeze and like I said before, you can do this with your eyes closed. I am not converted to being a single coil fan but after using this Wasp Nano RDA I can safely say I like to use single coil RDAs a little more now. Be careful with the warm vape. This produces being closer to the coil and finally price point for this little beauty – I’ve seen this range in price for between £12.99 to £19.99, which is a fair price to pay for quality.